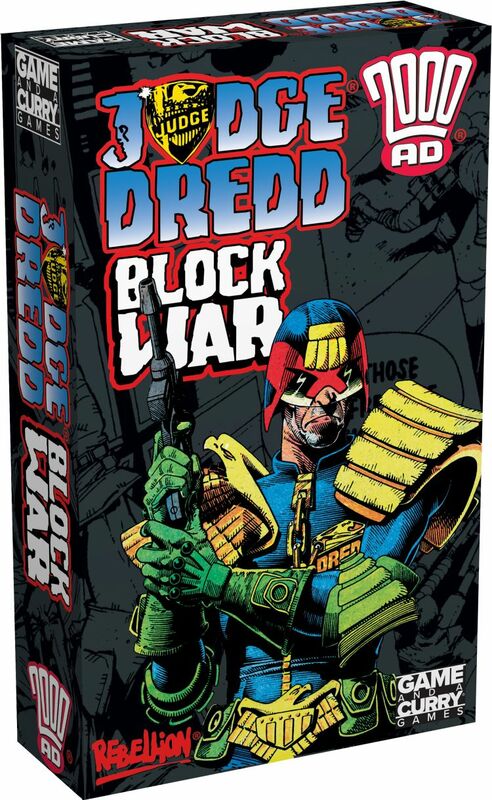 Judge Dredd: Block War is a two-player card combat game, where players take on the roles of Perps, trying to destroy one another's blocks. But there's more - the Justice Department AI (situated between the players) is on patrol attempting to extinguish the violence. Block War is easy to learn and fast to play - it takes about 15 minutes in total after learning. Block War is designed by Herb Ferman and produced by Game and a Curry Games. With original art from some of the greatest Judge Dredd artists.